Successful cultivation of vegetables comes with Skill and years of experience. However, the skill/knowledge requires for cultivation at different time of the year may not be the same. If you are then thinking of cultivating tomato and many other vegetables during wet season in an OPEN FIELD, there are things you must do to guarantee success. This article is meant to shed light on such. lead to rotten and waste. I guess you don’t want to lose part of your expected income from the farm! Asides fruits getting rotten, they also lose great market appeal due to de-coloration of the underside especially for cucumbers and if that happen, then the money expected to be paid by the buyer would surely reduce. Staking also increases ventilation on the farms and by extension reduces disease incidence. Disease surely is your number one enemy and would often fight tooth and nail with your crop to reduce their yield and by extension your profit margin. Well staked crops enables you to carry out routine activities on the farm with ease such as scouting, spraying, weeding and harvesting. Raised beds: Vegetables need water but too much of water especially a situation where water does not go away on time after heavy down pour would surely arm you crops. To ensure a well drain farm, it is essential that you plant your crops on beds. Please, do not make your beds across flood path rather along flood path. Disease Control program: Can you create a war or go to one without weapons? During raining season, it is natural that you are going to have a lot of challenges with diseases notably bacterial and fungi diseases. With that mindset, it is advisable you play an offensive role not defensive. Do not wait till you see diseases before application of preventive measure. Have a pre-determined protocol handy and apply as at when due. There are preventives measures and curatives as well, but once disease is allowed to occur, you have certainly allowed potential yield reduction. Read more on this through our previous article on agro-chemical protocols. Pest Control Program: Pest control protocol goes with disease control as well but you may not need to apply regularly as that of disease control applications. Depending on the crops in question, you might need to wait to see before you apply pest control measure. However, it is important to do adequate scouting every time because most pest particularly insect aren’t easily visible to the naked eye from afar. Walk through your farm and check the leaves under side; that is where most insects hide. Do you know that weed is a pest? You would surely have must of them during this period. Whether manually controlled or otherwise, you must do it regularly before they developed into competing forces affecting your yield. Read more on this through our previous article on agro-chemical protocols. Spacing: You must give your crops enough spacing to ensure adequate ventilation. During this period, humidity is very high and it encourages disease infestation. You could decide to plant in a single row on the bed or use zigzag planting pattern. Timely Harvesting: If you don’t harvest as at when due, then you might end up not getting anything to harvest on your farm. High humidity often leads to among other things fruits getting rotten. 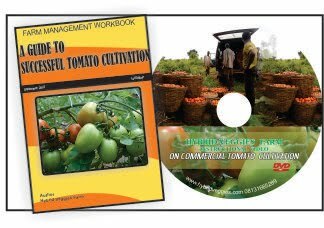 Some crops like tomato would surely have delayed ripening due to fall in temperature; therefore, you might need to harvest and store to speed up the ripening process or any other suitable methods that get the fruits off the parents on time. Alternative Sources of water: Are these measures not meant for raining season; then why alternative water source? You may be thinking this. Climate change is real and rainfall pattern can be very irregular and unpredictable. Therefore, it is advisable you have an option in mind should rain fails to fall for prolong period of time. I hope you find this helpful at least a bit. 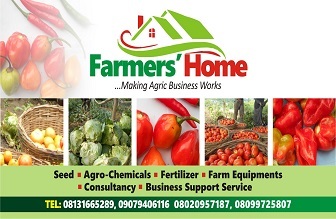 Thank you for reading and do check for our list of articles that would surely make you a success in your farming enterprise.